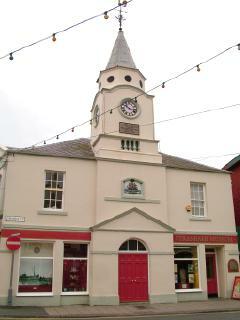 Located within the Old Town Hall of Stranraer, Dumfries and Galloway, this museum highlights the history of Wigtownshire through the ages. Its principal exhibits include displays on local history and archaeology, together with the polar exploration of Admiral Sir John Ross (1777 - 1856) and his nephew Sir James Clark Ross (1800-62) and a collection of 3-D photographs of the area in Victorian times. There is also a temporary exhibition programme.